Your virtual assistant always listening, always remembering, always on. Alexa and her girlfriends are moving in to your home and office. 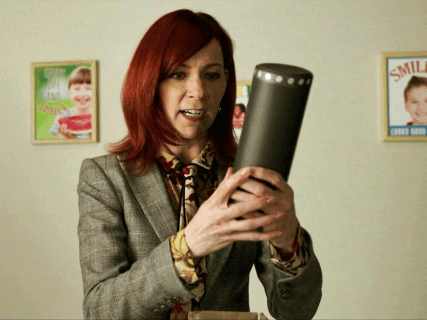 In a recent episode of The Good Fight, quirky lawyer Elsbeth demonstrated the perils of her Amazon Echo. Ambient conversations with her client got recorded and later subpeanaed by the opposition. Could this happen? Perhaps. Consumers around the world are installing a massive audio surveillance system at their own expense. The size and scope of this network will dwarf CCTV surveillance. Siri, Alexa, Cortana, and OK Google: we have entered the era of “big sister”. By 2020, something like 10% of households will have a virtual assistant always listening, and nearly a billion voice activated devices of all types will be in use. Amazon, Google, Microsoft and Apple have made major investments in voice-activated artificial intelligence. They all work by capturing audio and sending it to the cloud for processing. The business models differ, but all are making it easy for any OEM to build their service into their products. Here is a list of appliances already using Alexa. Products like Echo capture an ongoing sixty second buffer of sound which is stored in the device. After receiving a “wake command”, Echo sends your inquiry to the cloud together with the background buffer. Then, the AI tries to figure out what you want and respond. We have been watching Star Trek characters talk to computers since the 1960’s. It always seemed benevolent and useful. Amazon even allows you to use “Computer” as the wake command. All of your requests are logged and stored. You can delete the history, but most people won’t. Your device stores ambient sound for a short period, even when not active. So far, anyone can give commands. There is no “voice security”. Digital assistants join mobile phones. webcams and microphones as monitoring devices that can be accessed by law enforcement, litigators and of course, hackers. History shows that anything that can be hacked eventually will be hacked. Period. No exceptions, so far. It’s one thing to trade chunks of our privacy for convenience. Trading our agency goes a huge step further. Agency is the human capacity to act; it is very personal. Voice recognition, artificial intelligence and cloud computing have advanced rapidly in recent years. As for humans, not so much.